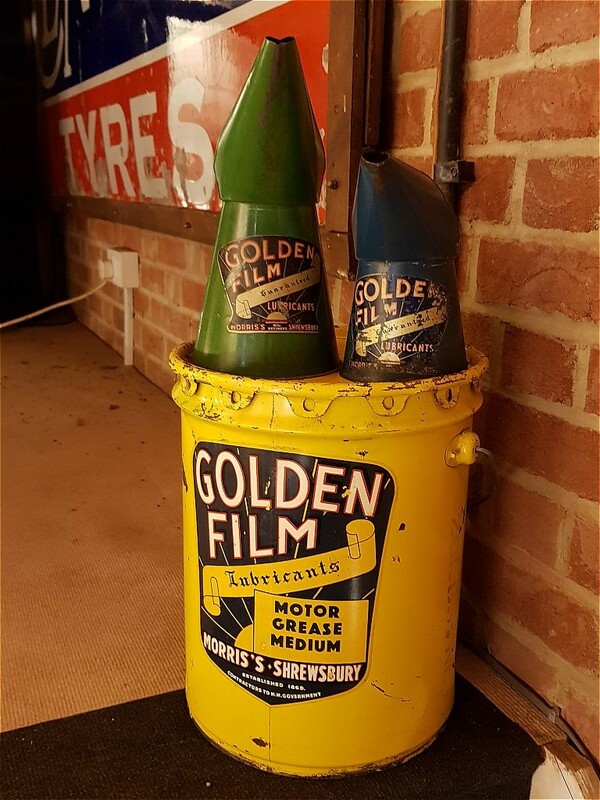 Enamel Signs | Petrol Pumps | Petroliana | Automobilia | GOLDEN FILM 28LB GREASE DRUM. GOLDEN FILM 28LB GREASE DRUM. Big old grease drum with graphics in amazing mint condition.